^ a b "12 Monkeys". Box Office Mojo. Archived from the original on 2009-03-31. Retrieved 2012-04-10. ^ Chris Nashawaty (July 28, 2006). "They Call Him Mr. Pitch". Entertainment Weekly. Retrieved 2012-04-10. ^ a b Jill Gerston (December 24, 1995). "Terry Gilliam: Going Mainstream (Sort Of)". The New York Times. Retrieved 2012-04-10. ^ Jeff Gordinier (May 19, 1995). "Brass Bald". Entertainment Weekly. Retrieved 2012-04-10. ^ Nick James (April 1996). "Time and the Machine". Sight and Sound. Retrieved 2012-04-10. ^ "Suite Punta del Este". Ástor Piazzolla. Archived from the original on 2010-10-07. Retrieved 2012-04-10. ^ "SALON Reviews:12 Monkeys". Salon. Archived from the original on 2005-05-31. Retrieved 2012-04-10. ^ Kozlovic, Anton Karl. "The Structural Characteristics of the Cinematic Christ-figure". Journal of Religion and Popular Culture. Archived from the original on 2005-02-23. Retrieved 2016-01-06. ^ "Twelve Monkeys". The Numbers. Retrieved 2009-04-01. ^ "12 Monkeys". Rotten Tomatoes. Retrieved 2019-03-21. 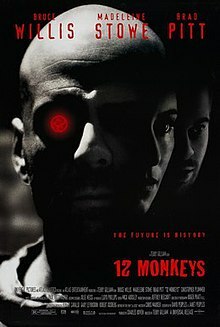 ^ "12 Monkeys (1995): Reviews". Metacritic. Retrieved 2012-04-10. ^ Roger Ebert (1996-01-05). "12 Monkeys". Chicago Sun-Times. Archived from the original on February 15, 2009. Retrieved 2012-04-10. ^ Desson Howe (January 5, 1996). "Gilliam's Barrel of 'Monkeys' Shines". The Washington Post. Retrieved 2012-04-10. ^ Peter Travers (January 1, 1995). "12 Monkeys". Rolling Stone. Retrieved 2012-04-10. ^ James Berardinelli. "Twelve Monkeys". ReelViews. Retrieved 2009-04-01. ^ Richard Corliss (January 8, 1996). "Back To The Bleak Future". Time. Retrieved 2012-04-10. 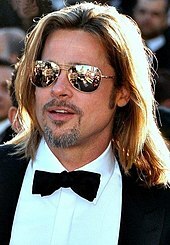 ^ "The 68th Academy Awards (1996) Nominees and Winners". Academy of Motion Picture Arts and Sciences. Retrieved 2012-12-01. ^ "12 Monkeys". Hollywood Foreign Press Association. Retrieved 2012-04-10. ^ "1996 Hugo Awards". The Hugo Awards Organization. Archived from the original on May 7, 2011. Retrieved 2012-04-10. 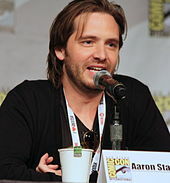 ^ "Past Saturn Awards". Academy of Science Fiction, Fantasy & Horror Films. Archived from the original on September 14, 2008. Retrieved 2012-04-10. ^ a b c "12 Monkeys (Special Edition) (1996)". Amazon.com. Retrieved 2012-04-10. ^ a b "Copyright Casebook: 12 Monkeys - Universal Studios and Lebbeus Woods". Benedict.com. Archived from the original on February 2, 2007. Retrieved 2012-04-10. ^ Pulver, Andrew (2 September 2013). "Terry Gilliam blames internet for the breakdown in 'real relationships'". The Guardian. Retrieved 7 September 2013. This page was last edited on 4 April 2019, at 15:43 (UTC).